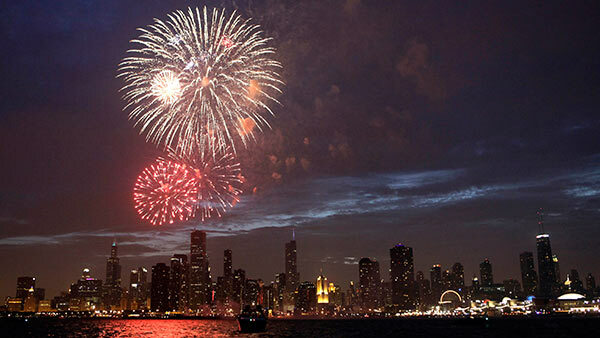 CHICAGO (WLS) -- ABC7 has learned of the following 4th of July 2016 fireworks displays in DuPage County, Kane County and DeKalb County in the Chicago suburbs. July 4, 2016 at 9:30 p,m. July 13, 2016 at 9:30 p.m.
July 17, 2016 at 9:30 p.m. Rain date: July 4, 2016 at 9:30 p.m.
July 4, 2016 at 9:45 p.m.
July 1, 2016 at 9:45 p.m.
July 2, 2016 at 9:45 p.m.
July 3, 2016 at 9:45 p.m.
July 3, 2016 at 9 p.m.